My name is Catherine and I am a Scone Bore. 3. I might make the 'lace topping' to serve with plain (no sugar) scones and cream. Well not completely all. There's the making of the scones to talk about. These scones use all cream instead of butter so there's no rubbing the butter in. I threw it all into the bowl and mixed it with my trusty bone-handled knife which reminds me of my grandmother. It wasn't a very wet dough but came together nicely. I love raw scone dough. It's a shame to cook it really. 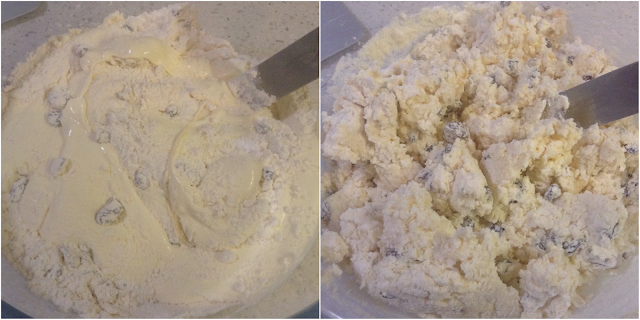 Rose includes a tricky step where you press the dough into a round cake tin. This makes a perfect circle you can cut into triangles. It is a good idea but I just pressed my dough into a rough-ish circle. 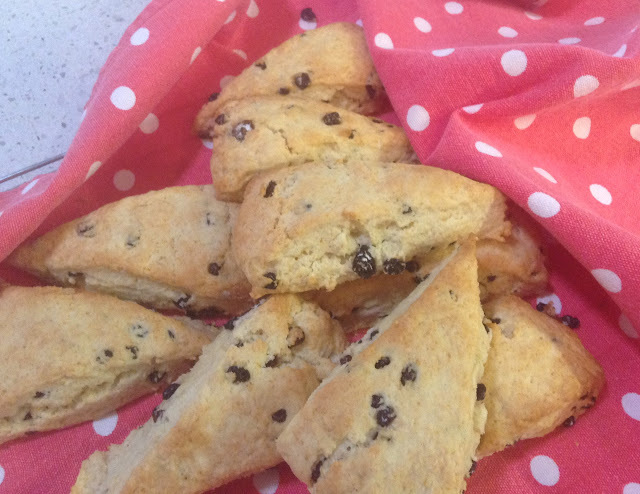 As I mentioned, the recipe gives you the option of making a raspberry butterscotch lace topping for the scones. I feel the title may mislead the unwary baker. I had a picture in my mind of a scone with a lacy pattern of raspberry cooked into it. 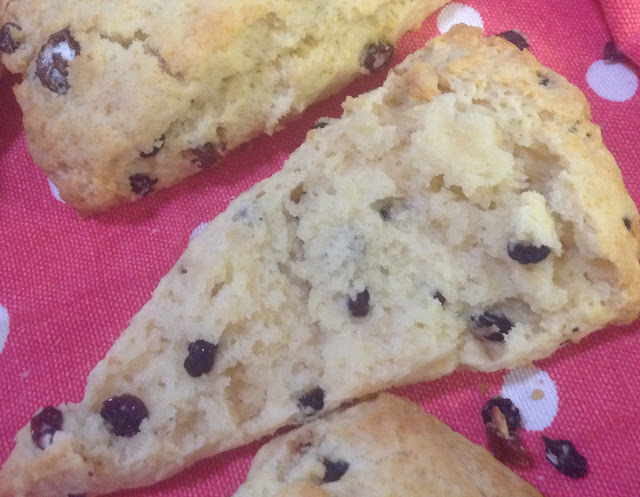 It turns out it's actually a (delicious sounding) sauce to drizzle on the finished scones. Maybe lace means drizzle in American English? Or maybe I have an overactive imagination? I thought about making the sauce (it would be lovely on ice-cream) but the whole attraction of scones for me is the maximum 20 minutes from getting out the bowl to putting scones on the baking rack. That and the raw dough. Next week we're making Pizza Rustica. Yay! I very much wish you would wax on about your scone preferences! 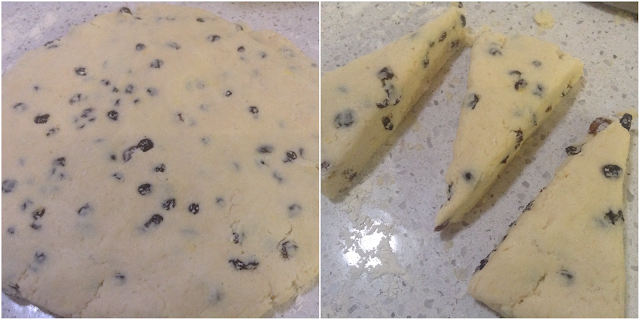 I was looking forward to your posting because I just knew you would be perfect at making scones. I didn't think about the raspberry butterscotch for ice cream but it would be fantastic. Honestly, it's probably my favorite of all Rose's toppings now. I do agree that these scones are fine plain. Yours look wonderful. love it you make me smile a lot,and your scones lovely!